The Runner’s guide to culture centres south of the Fraser. If you know where to look, the communities around KPU offer some great arts and cultural scenes for anyone who doesn’t want to trek all the way down to Vancouver. The Runner has curated what we believe are the biggest and best hotspots for South of the Fraser fun for the artistically or culturally inclined. 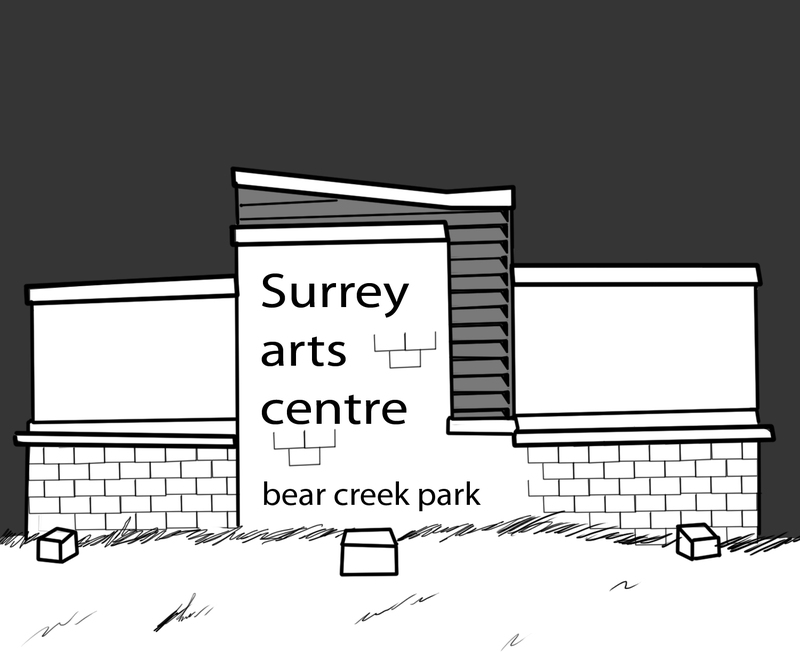 Located at Bear Creek Park, the Surrey Art Gallery is part of the larger Surrey Arts Centre Complex. The gallery specializes in displaying contemporary art for education and enrichment. In addition to displaying exhibitions of B.C. artists, the Surrey Art Gallery also houses its own collection of contemporary art. Also part of the Surrey Arts Centre are the Civic Theatres. The two civic theaters host productions by both professional and community theatre companies. The Main Theatre seats 402 people and is frequently used for larger scale theatrical, musical and dance performances. The Studio Theatre is slightly more intimate, seating up to 129 people for smaller community performances and events. In addition to hosting performances the stages are also used for local performing arts classes. The main stage recently held a performance of Avenue Q in partnership with the Arts Club. The Bell Centre is the largest auditorium in Surrey, with two levels of seating and 1,100 seats in total. The centre is owned by the Surrey School District and shares a complex with Sullivan Heights Secondary, but is also used for unaffiliated performances. The Bell Centre has been used for plays, concerts, stand-up comedy and much more. The Bell Performing art Centre and accompanying school are located at 6250 144th St. The Surrey India Arts club is dedicated to promoting Punjabi culture and tradition in Surrey. The group teaches its members various traditional Punjabi performing arts. They have performed at numerous events around Metro Vancouver including the Dragon Boat festival, Canada Day celebrations and at Olympic events. The India Arts Club can be found at 12677 80th Ave.
Just down the street from KPU Surrey is the Newton Cultural Centre. The centre was converted from a fire hall to a community cultural centre in 2010 by the City of Surrey. This centre features an art gallery as well as a studio for performing arts proposals. The Surrey Arts council runs the space and regularly hosts exhibitions, displaying a range of visual art from artists around B.C. and beyond. 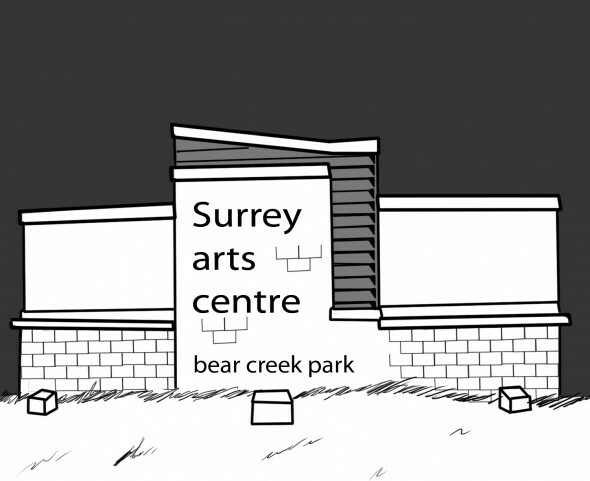 The Surrey Arts council also use the studio space to host a variety of events and activities. The Newton Cultural Centre is at 13530 72nd Ave.
For a more independent feel, the Surrey Little Theatre at 7027 184 St. offers community productions out of its adorable Cloverdale playhouse. The in-house performers are all local volunteers and the company stages a wide variety of performances throughout the year. The company does a mix of comedies and dramas for adult and general audiences, performed in both matinees and evening performances. The Coast Capital Playhouse is a 218-seat performance hall in White Rock at 1532 Johnston Rd. It regularly hosts the performances of the White Rock Players Club, a group that has been performing in White Rock for over 60 years. The company performs five productions at the Playhouse a year including a traditional yearly Christmas show. Based in Fort Langley in the historic Coronation Block building, the Fort Gallery is a non-profit organization that aims to provide a venue for local artists to share their work with the community and develop in their craft. With its unique location, this gallery is worth checking out for the ambience alone, but the work of talented visual artists provides a worthy draw as well. The gallery is at 9048 Glover Rd. The Langley Playhouse Theatre seats 80 and is home to the Langley Players Drama Club. The group has a long history of providing Langley with cultural entertainment, as they’ve been performing at this location since 1969. The company puts on three productions a year and provides theatre tutorials and workshops at the playhouse throughout the year. The Langley Playhouse Theatre is located at 4307 200th St.
As its name suggests, the Delta Fire Hall Centre For the Arts was converted from the old Delta fire hall. These days the hall is home to a theatre with seating for 150 as well as a gallery. The Delta Arts council regularly hosts community performances for the venue including monthly open mic nights as well as other dance and theatre acts. Dance, drama and music classes are also held at the hall. The hall is located at 11489 84th Ave. in North Delta. The Tsawwassen Arts Centre provides a space for various local arts groups to hold classes, performances and recitals. The centre features a theatre for community and professional performances. The Tsawwassen Arts Centre houses the Sidekicks Players Company who regularly hold a wide variety of comedy, drama and musical performances throughout the season. The Arts Centre is located at 1172 56th Street in Delta. The Richmond Art Gallery is a public gallery owned by the city of Richmond. The gallery plays host to contemporary art exhibitions from artists both local and abroad. Until the end of March 2015, the gallery will be exhibiting the work of painters Eli Bornowsky, Jeremy Hof, Monique Mouton and Jinny Yu. The Richmond Art Gallery is part of the Richmond Cultural Centre at 7700 Minoru Gate. The Arts Centre at the Richmond Cultural Centre is a multipurpose facility designed to make participation in visual and performance art accessible to everyone in the community. It includes nine studios that host classes teaching painting, pottery, dance, acting and more, for both children and adults. The facility also includes a performance stage.